Image Description: Zero with gears inside. For many of my colleagues in higher education, budget season is in full swing. With academic and fiscal years coming to an end in a few weeks and months, they are winding down their budgets and preparing requests for next year. Many institutions have rolled out zero-based budgeting, which may feel like the newest fad designed to create even more angst for budget managers. 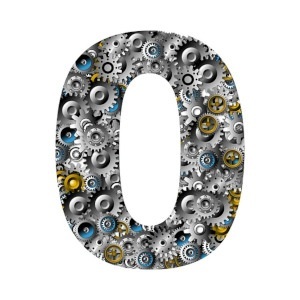 While I understand that any budget discussion that begins with the number 0 can sound scary, I’m a huge fan of zero-based budgeting and have used it successfully to manage department and division budgets. With zero-based budgeting, instead of developing your budget plan based on last year's funding or another set amount, you begin your budgeting by detailing your needs and priorities for the budget period and build your budget from there. While the name suggests a targeted focus on cost-savings, at its core, zero-based budgeting focuses on strategy and accountability. By beginning with your needs, rather than an expected funding amount, you are forced to reevaluate those needs each new budget period and to determine whether those needs are an accurate reflection of the priorities of your department, project, or larger organization. I’ve found that beginning at zero and with my strategic priorities in mind has also allowed for unconstrained planning and enabled me to react quickly and effectively to funding opportunities and budget cuts. The zero-based budgeting process prompts me to develop a list of all needs, including upgrades, additional staff, and dream projects, and to tie those expenses to my strategic priorities. For new staff and initiatives, and for expenses that ended up not being funded during the budget period, I develop a short one-page proposal I can use if funding becomes available. I have been able to quickly turn these proposals into requests when leadership has announced a funding opportunity – I can be first in line when discretionary or year-end funding becomes available, and have a head start when preparing more formal proposals for funding. Similarly, when faced with mid-year budget cuts and when departments have been asked to give back a portion of their budget, I have been able to draw upon my list of needs and priorities to successfully advocate for reductions to the cuts affecting my department. When across-the-board cuts have been implemented, I have used my zero-based budget plan to prioritize expenses and make the best use of funds to lessen the impact on my department. Instead of being constrained by anticipated funding, or by what had been funded in the past, I found that the zero-based budgeting process provided me with a flexible, strategic approach to budget management. What is your experience with zero-based budgeting?